"The iconic American beauty has porcelain skin, blonde hair, and blue eyes"... For centuries, many women of color have striven to fit into this narrow ideal by using skin-whitening creams and an arsenal of other products designed to "beautify" – that is, anglicize – their faces and bodies. Now, cosmetic surgery gives ethnic men and women the option to change their appearance far more dramatically and permanently than was possible with hair dye or colored contact lenses. Despite this, many of today’s men and women of color are eschewing the “classic beauty of whiteness", opting instead to pursue a look which alters, but ultimately maintains, their distinct ethnic features. From 2000 to 2005 there has been a 65% increase in so-called ethnic plastic surgery, according to the American Society of Plastic Surgery. Nose reshaping is the most common form of cosmetic surgery among African Americans and Hispanics (for the overall population, it ranks second, after liposuction, according to the American Society of Plastic Surgeons). More Americans of ethnicities are going under the knife however; many surgeons are not yet educated and experienced with their specific and particular needs. The potentially difficult surgery requires special surgical techniques and postoperative protocols. For example, most rhinoplasties are simple dorsal reductions, tip revisions, or both. The "closed" rhinoplasty approach is adequate, however many of the ethnic patients necessitate direct visualization for reconstruction of the tip and dorsum. Therefore the open rhinoplasty procedure gives the surgeon a broader range in which to accomplish the patient's goals. Minimizing swelling, bruising, and scarring during the healing process following surgery by using advanced surgical techniques and pre & post operative therapies should be the second objective. According to Dr. Renato Saltz, the chair of the American Society for Aesthetic Plastic Surgery Public Education Committee, “Being aware of cultural differences is more than just speaking the language.” When it comes to plastic surgery, cultural awareness entails “understanding how patients want to enhance their natural beauty. For example, South American women typically want smaller breasts and larger buttocks than the average white American female. Most African-American patients prefer a longer, wider nose and more prominent jawbones and cheekbones, while Asian-American patients overwhelmingly wish to achieve a softer appearance rather than a sculpted one". Your surgeon should be educated on the specific physical characteristics of people in each ethnic group . By understanding these characteristics, the surgeon is better able to best serve the ethnic persons desire for altering their appearance. Minority patients have learned to steer clear of plastic surgeons who subscribe to an outdated school of thought in which whiteness is equated with beauty. Doctors who study the subtle but important differences between what Caucasian and minority patients consider attractive are reaping the benefits of the plastic surgery boom among people of color. At Makeover Travel plastic surgery, we specialize in ethnic plastic surgery. 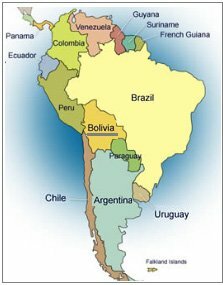 Because the geographic location of Bolivia, more than 50% of our patients are patients of color. We receive of course Hispanic, Latin and Indigenous people but also many African people from Brazil. As an international medical organization, we also have many patients who are American, European, Asian, Middle Eastern, and Native American. But more than half of our patients are non-caucasian. Because we do so many procedures for members of different ethnic groups, we have developed a systematic approach to ethnic plastic surgery. People of different ethnic backgrounds often have unique features and bone and body structures. We try to provide overall balance to your face and body. This means close attention to ethnic features so the results of surgery bring good harmony to your appearance. Modern plastic surgery is not about erasing ethnic features and our approach works to enhance appearance without minimizing your identity. As an example, people of different ethnic backgrounds tend to have distinct structures to their noses. The flatter noses common in many ethnic people can be addressed by grafting cartilage from elsewhere in the body to more finely shape the skin at the tip of the nose, and provide it with a refined appearance. When we do this sort of ethnic rhinoplasty we strive to improve appearance without changing the overall appearance of the face. The typical African American nose has three main features. One, a wide, bulbous tip, due to weak lower lateral cartilages and thicker skin, with marked fibro-fatty tissue in the tip of the lower half of the nose. Two, a low dorsum with the naso-frontal angle depressed to varying degrees, and three, wide, flared nostrils. The Asian nose is similar to the African American nose in that it lacks dorsal height and the tip is generally wide and bulbous. The Mediterranean nose is similar in that the tip has generous proportions and is even hooked in appearance. The dorsum can be nonspecific or have a major bony pronouncement. A wide variety of cultures fall under the blanket term "Hispanic". This makes it difficult to generalize a nose type, yet this group tends to have characteristics that are distinct and require different surgical strategies. People with darker skin tend to have more noticeable scarring. This can be very important in ethnic plastic surgery. We use special approaches to our wound closure in procedures for ethnic patients to avoid unsightly scarring and to preserve even skin tone. This includes fewer stitches near the surface of the wound so as not to create scarring in this type of skin, and aggressive wound management following your surgery to minimize the development of thick and raised scars. People of various ethnic backgrounds show different signs of aging than do caucasians. We work to address the underlying issues of aging given your background and skin type, instead of using "cookie cutter" techniques. For example, many non-while people have skin that is thicker and less prone to wrinkling. Signs of aging tend to be sagging rather than the crinkled look found in Northern Europeans. We address these underlying issues when we perform our ethnic plastic surgery. Lastly, we get to know you and your goals for plastic surgery as we do our planning for the procedure. Some people seek plastic surgery to look younger or fresher. Others want to soften a specific part of their appearance that they do not like. People also seek cosmetic surgery because their body has simply changed with time, having babies, or weight loss, or from adding on some weight. When you meet with us for your plastic surgery consultation, we will work hard to understand your goals for cosmetic surgery. We use this information along with our knowledge of ethnic facial and body features to come up with a plan best suited to meeting your goals. Makeover Travel is a Worldwide Leader of Affordable, Quality Plastic Surgery Packages. We provide you a range of different Plastic Surgery Packages, designed for flexibility, depending on how you want to travel, your budget and your treatment needs. Prices are all-inclusive with no hidden costs, so you don't have to worry about anything while you are on holidays. Our prices represent excellent value - a fraction of the price of a treatment at home, we offer 5 star luxurious holiday, transport and excellent post-operative consultations, support, and - to top it all off -pampering treatments that will leave you glowing. Medical procedures and treatments in Bolivia are far less expensive than in our client home countries, offering the same expertise and results you would expect from surgeons at home...with the Latin Touch. How can we offer such great value? We strive to offer the most competitive prices and Plastic Surgery Packages that you could find. Unlike surgery and dentistry procedures at home, you do not have to pay sales tax (GST, VAT) on the procedures, and the strong currency exchange rates means that it is far cheaper in Bolivia than it is at home. Please note, we are not a cut price operator, we do not offer the cheapest surgery that you can find, as we place more value on quality, service and experience. Beware of the low price surgeons and clinics that you can find advertised, in most cases they do not offer high standards of quality and service. Many of our clients decide to get a couple of surgical procedures at once to achieve a more balanced result. This then become even more cost efficient alternative saving them even more! All Inclusive Plastic Surgery Packages for your peace of mind. We believe it is important for you to know the exact costs of your chosen surgery before you make any decisions. Makeover Travel provides a true alternative to the high cost of medical expense experienced in their home countries. We offer a very high level of practical and personal experience, know-how, contacts, and confidentiality. Customer feed back has proved that working with Makeover Travel is a more professional, less risky way to book and co-ordinate their medical and travel requirements. We acknowledge this is a life changing experience not just a medical holiday. By treating each client as an individual, being focused on there needs and providing them with outstanding service, this is what sets us apart form the “others” and will continue to be the key to our ongoing success. We believe in presenting our client with an a full service approach to their Medical Travel by Coordinating all their needs and desires in to a Medical travel package. Clients will receive our undivided care and attention to detail, highly qualified surgeons and a “Post Operative Paradise” recovery holiday, providing our clients with the ideal setting to commence their new destiny. When else can you go on holiday and “you become the souvenir”.